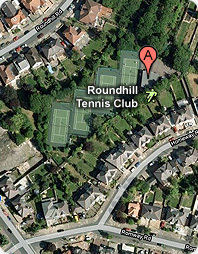 Roundhill Tennis Club is one of Leicestershire's leading clubs. 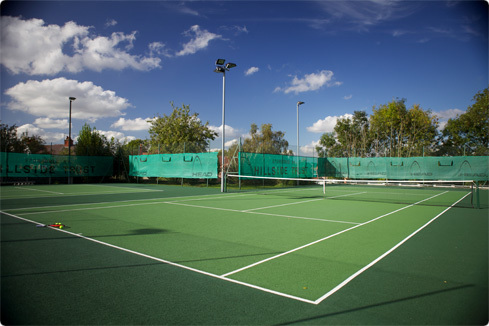 We are located in the heart of the city of Leicester with 4 all-weather floodlit courts. Founded in the late 1920's, the club has grown in stature and size over the years but keeping faithful with its tradition as a warm friendly club. We provide a full programme of play and coaching from 5 years old through to the over 70's. Competitive play is strong with teams active in league play throughout the year at both Senior and Junior level. The ladies have been County Champions for many years recently and play in the North Midlands section of the National league. 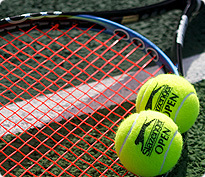 Social play is equally important with busy Club Nights, afternoon play for the retired, weekend play, fixed fours and twos......but don't worry if you are a beginner, we will work together to get you playing a few Federer shots in no time! In addition to the 'normal' social play, on every Thursday morning, there is a "coffee morning" (starting at 10.30am) providing good coffee, cakes, plenty of social play and coaching. This event is open to members and non-members alike. The cost is £2 per person. It is a great way to 'try out' the Club, its facilities and the atmosphere. The Club House has been recently refurbished and is a great venue for our varied social events enjoyed by the members throughout the year. There is free wireless internet access to all members. The ethos of the club has always been to make all members welcome and to encourage all standards to join in and help each other, from County Champion to Beginner. For further enquiries, please contact the club on the telephone number or the e-mail address provided above.